Your credit score may look good, but that doen’t mean your loan application will be approved. Many banks in South Africa require that you are employed for at least three months before you apply for a loan. If you have just changed jobs, you might have to wait until you have three salary drops reflecting in your bank statement. Everyone is striving to lead a debt-free life, but having no debt at all can also work against you. Credit providers view you as high risk when they do not see your credit history. When you apply for credit, lenders want to be sure that you will be able to pay them back. One of the ways they know this is by checking your payment history. If that is not available, they start having doubts. The National Credit Act (NCA) prohibits credit providers from lending recklessly. One of the ways that credit providers can ensure responsible lending is by assessing if the consumer will afford the loan. If your expenses and liabilities exceed your income, your application will certainly be rejected. Banks are not allowed extended credit to anyone who is under the age of 18. Such as person is considered a minor and still need the parents’ permission. With that said, pensioners also struggle to obtain credit. Sometimes they qualify for small amounts or short-term loans. 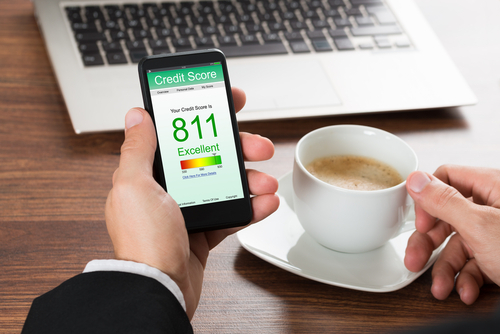 Sometimes you might be tempted to shop around for credit. Even though this might sound like a good idea, it might work against you. Credit providers will see if you have tried obtaining credit from other providers. Too many credit enquiries are a sign that you are likely to default on your loan. Your application may be rejected because you did not give all the documents required to process your application. When you apply for credit, the lender will normally ask you to bring your payslips, bank statements and Identity Document (ID). Make sure that the documents you present are legible and in good condition. Your credit provider has the responsibility to explain why your loan application was declined, so do not ever hesitate to ask.